There are not many dining options along the Road to Hana. So, packing plenty of food and drinks for the trip is a must. The Road to Hana (Highway 64) is just shy of 65 miles (105 km) one way. It is a slow drive with hairpin turns, one-way bridges and majestic views. If you have a child prone to car sickness, be prepared. There aren't many places to stop for provisions along the way. Starting as early in the morning as you can makes for a much better experience, because it puts you on the road before the crowds. On the day of our trip, we left the hotel in Ka'anapali around 6 a.m. The Road to Hana is a major highlight for any visitor to Maui. Not only does it boast gorgeous landscapes, it's also steeped in Hawaiian history. 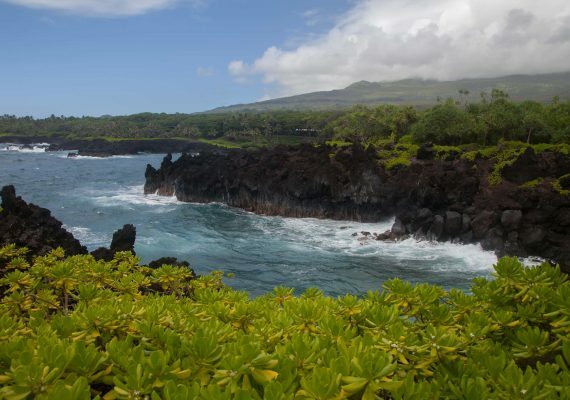 Perhaps the thought of doing this trip with kids might sound daunting, but this family-friendly itinerary offers excellent stops along the Road to Hana. Begin the day early and drive to the end of the route first in order to make your way back with stops. 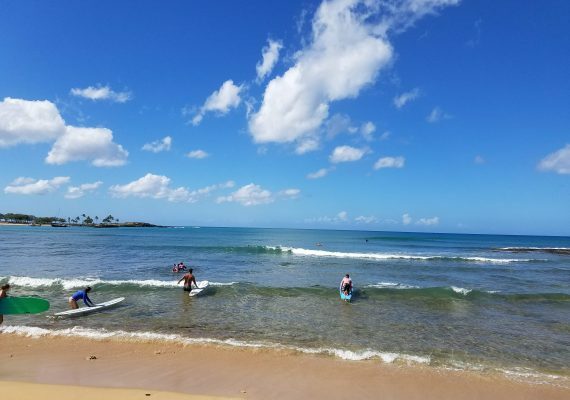 The first stop on this day trip is at Pa'iloa Beach. This location is great for little explorers and its black sand beach contrasts beautifully with the gorgeous Hawaiian water. 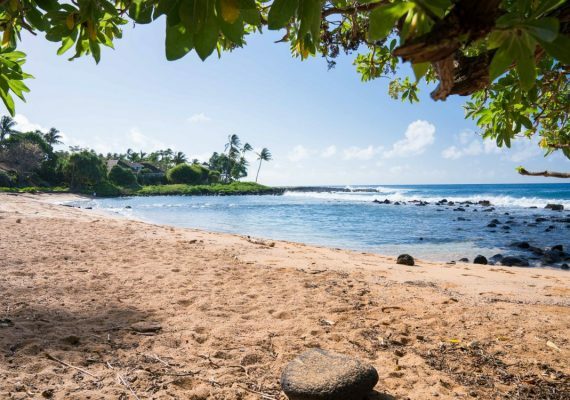 Next, head to a lesser-known beach with sand of a different color, Kaihalulu Red Sand Beach. The third stop is at Ohe'O Gulch, a series of beautiful pools set in a lush, natural backdrop. Lastly, on your way back along the highway, stop off at some of the many phenomenal waterfalls along the Road to Hana. Just note while driving to Hana in the morning any spots you'd like to pull off on your way back. There are an insane amount of options, choose whatever strikes you best. 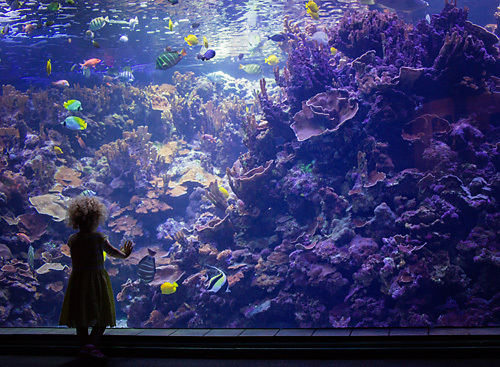 This day is filled with diverse landscapes and fun adventures that both kids and parents will enjoy. The black sand beach of Pa'iloa Beach at Waianapanapa State Park was hands down one of the most beautiful spots we visited during our weeklong trip to Maui. Our kids were amazed at the beauty of the black sand meeting the turquoise-blue water, dotted with lime-green vegetation. We all agree it was like being on another planet. The ocean here is not good for swimming, but there are a couple sea caves to venture into down near the beach. If time allows, find the trail on the left side of the beach and follow it for a bit. It climbs up along the ridge, giving you great views and passing a nice blowhole. If you follow it to the end and back, it is about 3 miles (5 km) round trip. DIRECTIONS The turn for Waianapanapa State Park is near mile marker 32 along Highway 64 (known as the Road to Hana). There is no entrance fee, parking is free and there is a well-maintained boardwalk down to the beach. TIP Pa'iloa Beach was our top spot to visit on our Road to Hana adventure. Because of this, we opted to bypass all stops along the way before reaching it, in the hopes we would get there before it was busy. Though we were not completely alone, there are definitely fewer people in the morning versus later in the day. This short and sweet detour to Kaihalulu Red Sand Beach gives you a glimpse of a red sand beach minus the crowds you will find at the more popular stop at Red Sand Beach. It was a treat to discover this little gem and have it all to ourselves. Unfortunately, it was high tide during our visit, so there was less beach and it wasn't a good time to venture into the water. DIRECTIONS Just after you enter the town of Hana, make a left turn onto Keawa Place and follow the road to Hana Beach Park. Parking is free, and the beach here is popular with the locals. After you exit your car, make your way to the pier. Just before the pier, you will see a small trail off to your right. Follow it for about 500 feet (160 m), and it dumps you at a small red sand beach. TIP The trail here is short but a bit steep, since it is situated along the side of the hill. Wearing appropriate shoes is helpful. Ohe'o Gulch (pronounced "oh-hey-oh") or Seven Sacred Pools is the last stop on the official Road to Hana. It is a short walk, about a mile (1.6 km) round trip from the parking lot to the pools and back. The pools are beautiful and surrounded by a lush tropical setting. DIRECTIONS It's located just 15 minutes past the town of Hana and where the Hana Highway officially ends. The pools are located inside Haleakala National Park. There is a small entrance fee. TIP This is a very popular spot. If you can get here before noon, there will definitely be less people. Also worth noting, at this time the pools appear to be officially closed to swimming (as this was the case during our visit). You may not believe me when I tell you this, but there are so many waterfalls along the Road to Hana, you might just get waterfall fatigue. Seriously. Almost every bend - and there are many - presents a new one. They range in size and water flow. DIRECTIONS Most people seem to stop a lot during the first leg of their journey. As mentioned before, we opted to drive to the further destinations first. As we drove, we made note of which of the many waterfalls looked most appealing. We then stopped as we were making the return trip later in the day. TIP Some spots have official parking, while others do not. If the latter is the case, find the best spot you can. Parking along the road is totally acceptable as long as you aren't blocking traffic. Pau'a Ka'a Wayside (near mile marker 22) is one of the few waterfall stops that also has a bathroom, should you need it.